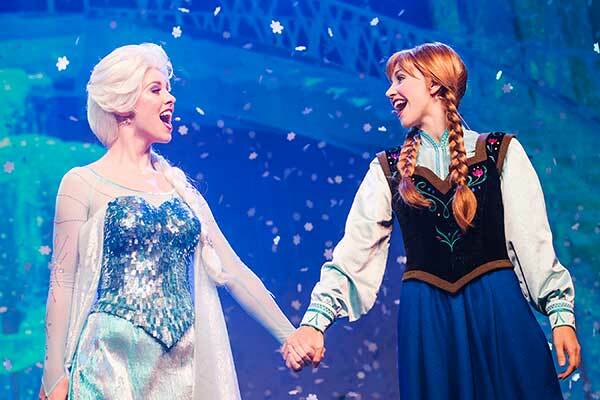 The world of Frozen is taking over Hollywood Studios this summer! Spend the day enjoying these interactive experiences! 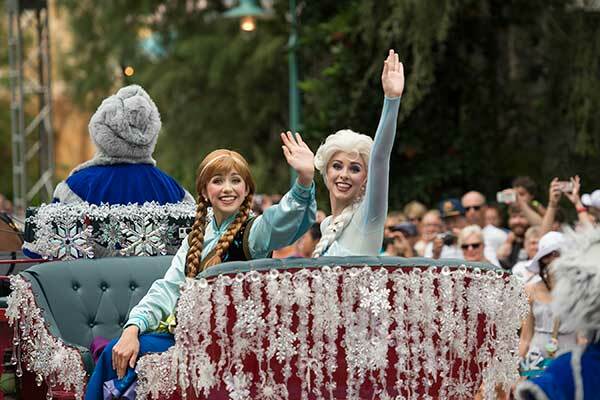 Anna and Elsa’s Royal Welcome – Twice each day, Elsa and Anna arrive in Hollywoodland as part of their goodwill tour of neighboring kingdoms, making their way down Hollywood Boulevard, with Anna in a horse-drawn sleigh and Elsa on an ice palace float. Kristoff and Olaf are along for the fun, too, joined by a flurry of skaters, skiiers, ice cutters and more! The entire procession will pause twice along the parade route to since "Let It Go" and officially welcome the visiting royalty to this kingdom of Hollywoodland. For the First Time in Forever: A “Frozen” Sing-Along Celebration – Cool down inside the Hyperion Theater (former home of American Idol Experience), where Anna, Elsa and Kristoff join the Royal Historians of Arendelle for a fun and comedic retelling of the unique history of their Kingdom, filled with delightful, sing-along moments from “Frozen.” FastPass+ is available for this show. Guests ages 3-12 can get a Frozen makeover at this new salon located across from ABC Commissary. Call 407-827-7400 for reservations. In addition to the packages listed below, guests can also reserve an Olaf t-shirt and Olaf-inspired glitter hairstyle. Frozen Summer Fun Boutique Package - includes Anna or Elsa shimmering makeup palette, face gems, nail polish, braided hair piece with sparkling snowflake accessory and exclusive photo opportunity. $75, tax included. 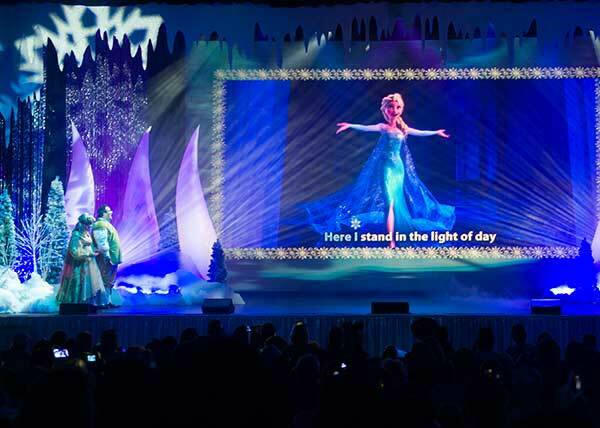 Ice Palace Boutique Package - Includes the items in the Frozen Summer Fun Boutique Package, plus access to the Ice Palace Cafe, and seating at the "For the First Time in Forever: A Frozen Sing-Along Celebration" show. $175, tax included. This package is for the child getting the makeover, plus 5 guests. 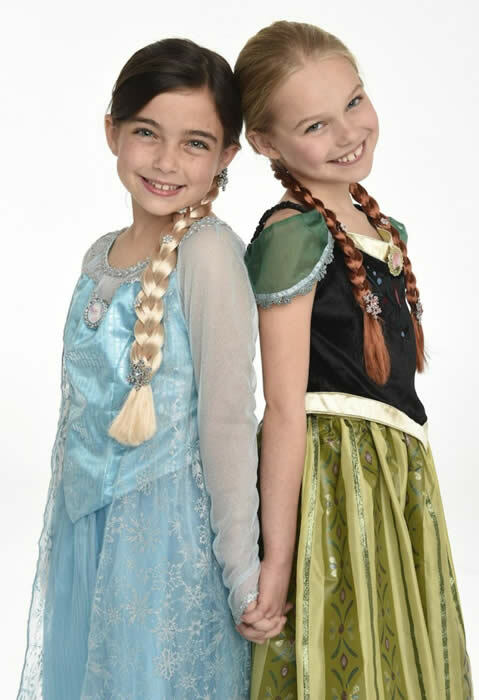 Ice Palace Boutique Deluxe Package - Includes the items in the Ice Palace Boutique Package, plus an Anna or Elsa costume. $240, includes tax. This package is for the child getting the makeover, plus 5 guests. "Frozen Fever" Viewing - The new animated short, Frozen Fever, will be shown in the ABC Sound Studio. Guests will also get a peek behind the scenes at the making of the film. Beginning at 10:00am daily, guests can see this twice an hour. 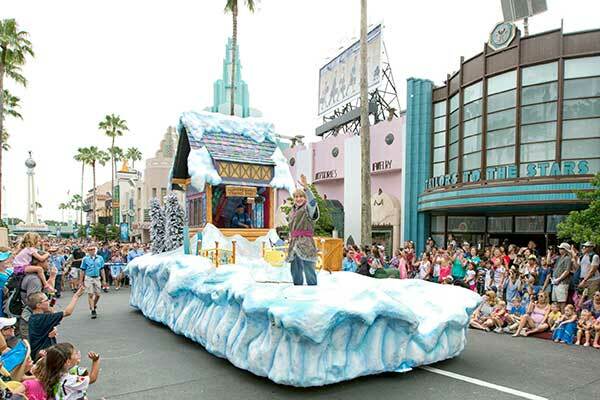 Olaf's Summer Cool Down - Several times throughout each day, the Ambassador of Hollywoodland, Olaf and some friends will take their places on the Event Stage to have fun "In Summer." Olaf's personal flurry will even make a burst to cool down the crowd. 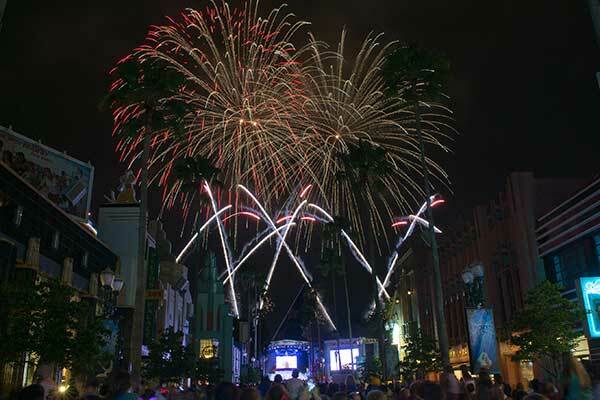 “Coolest Summer Ever” Dance Party – A dance party takes over the area around the Event Stage, with a DJ, live band, and more! The band plays a variety of classic and contemporary summer rock & roll hits, as well as a cool, rocking medley of “Frozen” favorites. It’s going to be hot! Use the special events hashtag and share song requests and photos; some will even make it on the big screen! Cost is $69 adults, $39 children (ages 3-9). Tax and gratuity included.